The New Year started, and as I reflected back on 2013 and looked over my calendar for the ending months of the year, I realized that my networking had all but died out. In the beginning of the year I’d attended numerous events and met a ton of great people, but after the summer ended I guess I told myself that I was too busy for networking events and, probably gladly, stepped back. 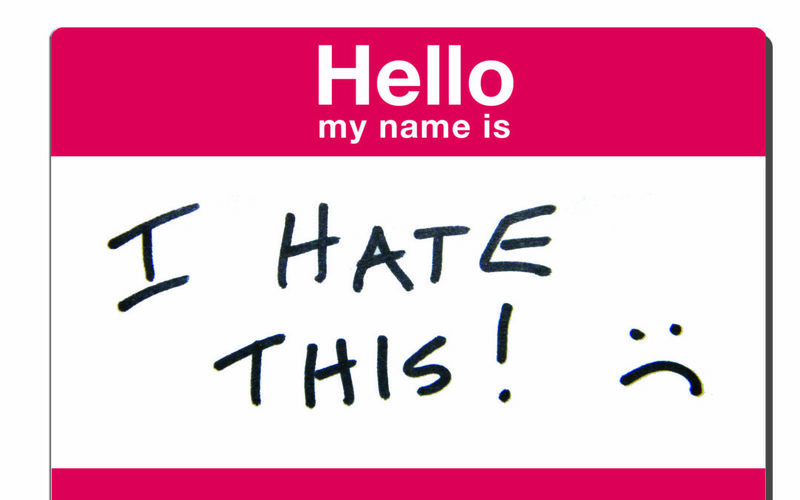 Why do we all hate networking so much? I am an extrovert and I do like talking with people and getting to know them. I like it a lot. But even I get tired of “networking.” It feels forced, like a chore, as if I’m on stage and in sales at the same time. And I’m an extrovert. And then I read a blog post, Effective Networking: 6 Secrets Your Kids Know, by my dear friend and colleague Karin Hurt. She offers great advice on networking based on her son’s ability to connect with seemingly everyone on a cruise ship. Because he wasn’t trying to “network” he was simply trying to make friends. Two of the secrets she shared, that kids have no agenda and that they’re open to new relationships, made me think. All the secrets made me think, in fact, but especially these two, because these simple shifts in mindset can probably make networking enjoyable for me again. If I approach a networking event with no agenda, other than to simply meet and engage with people, then I don’t feel pressure to talk with everyone in the room and I can connect more deeply with the people I do talk with. Or I can playfully meet everyone in the room and feel no pressure to dig deep with anyone at that time. Either approach might be fine, depending on the situation, the group, and my mood, but no agenda means no pressure, and that’s a good thing because then I’m more likely to feel natural and therefore naturally engage with those around me. And if I remember to be open to relationships and open to the people around me, again I’m more likely to connect more authentically, and to find the people that want to connect further with me. I’ve personally found it helpful to approach my networking with a sense of “you never know.” You never know if you’ll meet someone who will be helpful in a business sense, or if you’ll just make new great friends. You never know what you have to offer, personally or professionally, that someone may want or need. You never know if you’ll have a good time or not, although you’re more likely to have a good time, I think, if you expect to have a good time. I do feel the itch to meet new people and to expand my social and business network. And I do feel the itch to approach my networking with a kid’s sense of openness and engagement. You never know what might happen! How do you effectively network, and enjoy networking? For support in keeping your networking goals, contact Lisa at lkohn@chatsworthconsulting.com.